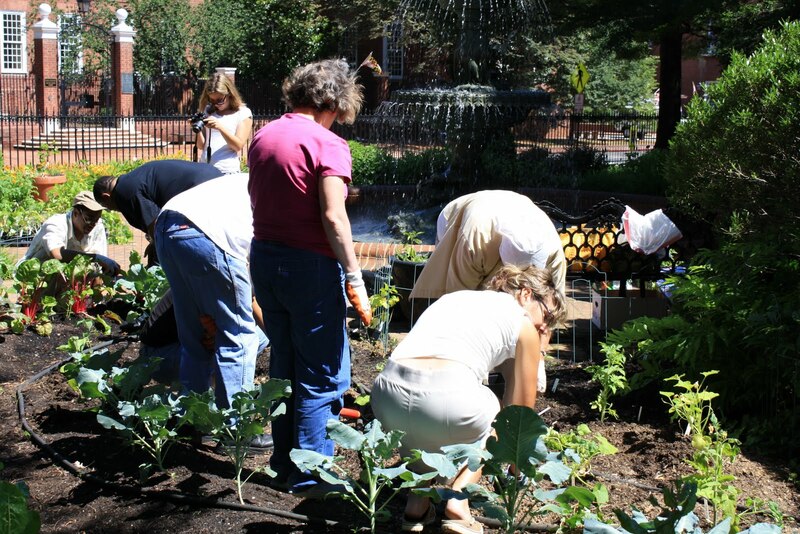 Master Gardeners partnered with Providence Center to provide summer transplants for the First Lady’s vegetable Garden. Master Gardeners provided the seeds and partcipants from Providence Center planted and cultivated the seedlings for the garden. 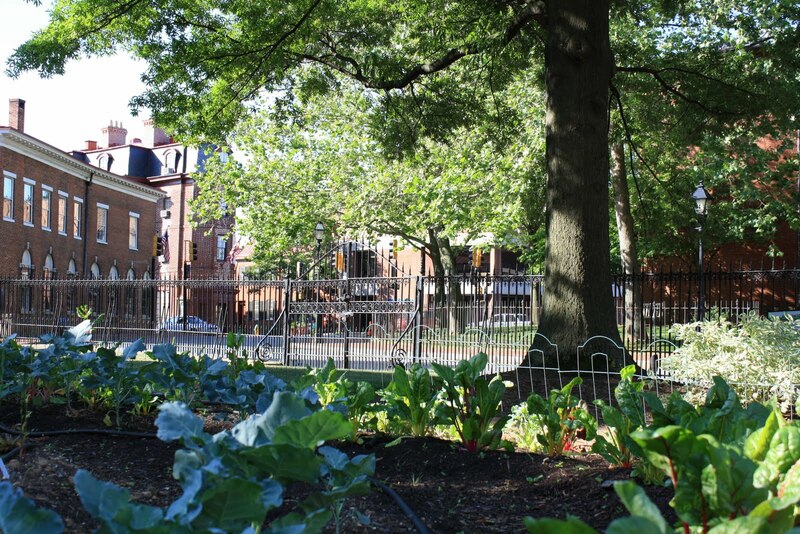 Additionally, five clients from Providence Center’s Baldwin Industries, a vocational training program, were selected to help plant the First Lady’s garden at the mansion. The group planted cucumbers, tomatoes, squash, zucchini, beans, eggplants, peppers and herbs. 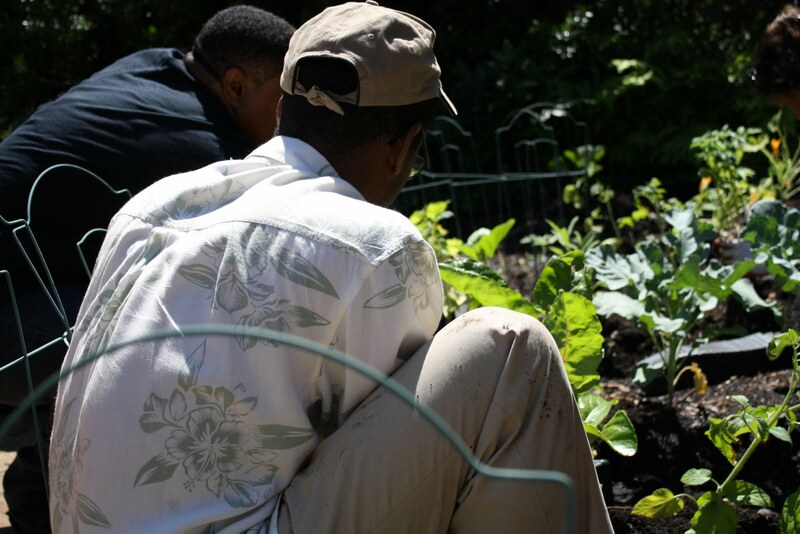 The project has included discussions on gardening, healthy eating and the benefits of shopping from local vendors and will continue with visits to local farmers markets throughout the summer. Providence Center is a nonprofit organization in Anne Arundel County, Maryland providing life-enhancing services to hundreds of adults with developmental disabilities. The Center’s participants have various types of disabilities including mild to severe cognitive impairments, learning difficulties, physical disabilities, autism and cerebral palsy. Providence Center’s goal is to help clients enjoy increased self-determination in taking more independent and valued roles in society and to exercise higher levels of control over their lives.